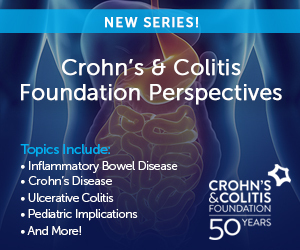 There are a lot of GI issues that people talk about and face, and certainly, there’s a lot of money to be made, there’s a lot of treatment to be done and a lot of issues and serious issues that we as physicians have to deal with when it comes to the GI tract, but there is something, a phenomenon, called leaky gut, which you may or may not know about, which we thought would be interesting to talk about. And we have an expert with us, Dr. Daryl Gioffre. Dr. Daryl Gioffre is a person who specializes in the treatment of leaky gut. He’s also a nutritionist, longevity expert, and I want to welcome you to the program. And it’s really great to have you here because I think this is a topic we really don’t get to talk about that much. Thank you so much, Dr. Brian, for having me on the show, and I really appreciate it. And, yeah, it’s something that is really overlooked. And it’s interesting, because it really mimics so many other symptoms in the body, but when you really dig deep down to leaky gut, you really understand that this is one of the true causes of so many significant health issues that people are having in their lives. So, what exactly is leaky gut? How would you explain it from a medical standpoint? Well, first and foremost, if you want to be healthy, it is critical that you look to the gut. In fact, Hippocrates, who is the father of modern medicine, said, “Look to the gut because it’s the cause of all disease.” So just like a tree needs to have healthy fruit, it needs to have a healthy root system. Well, your body is no different, and the root system of your body is your gut. And it’s so important, doc, that 80% of your nerve system lives there; 80% of your immune system lives there. But here is the problem. Ninety percent of the standard American diet is an acid-forming diet, and it’s pumping in all these inflammatory foods. Add to that stress, environmental toxins, and it’s destroying the gut. So, basically, leaky gut is when you get these tiny perforations in the tight junctions of your gut lining, and when that happens, it allows different types of toxins, such as yeast, fungus, mold, mycotoxins, undigested food particles to get into your bloodstream, and from there they can traffic to anywhere in the body, and that’s when they cause their damage, from things like inflammation, autoimmune diseases, arthritis and so much more. Now, you’re the author of a book, and a catchy title, Get Off Your Acid, and you talk about that and the issues associated with it. When you educate people and you talk to them about it, do you find a lot of physicians are aware, not aware of this or new to learning it? Where is it from your perspective? It’s a great question. I think it really depends on who you’re talking to and really how far educated that specific person is. But when you look at common medical textbooks, even something as simple as Guyton’s Physiology, it says right in there that the most powerful, significant thing to your health is the hydrogen ion concentration in your blood, which is the acid level. But the thing is, is that the acid level is always stable. I think that’s the biggest misconception. It’s always tightly controlled at 7.4. So I think the biggest misconception people have is that they think that when you want to eat alkalines is about raising your pH, and that’s not the case. Your pH is regulated by itself. The whole purpose of putting these alkaline foods into your body is to prevent the body from having to do all the regulating on its own, so you’re taking stress off the body so it doesn’t have to work so hard. What would some examples of alkaline foods be? I think the most important ones are dark green leafy vegetables, things like kale, spinach, chard, romaine lettuce. The reason why those are the most important is because they are high in minerals, especially magnesium. And when you look at what’s the most powerful buffer or neutralizer of the toxins in your body, it’s the minerals. You have your cruciferous vegetables like broccoli and cauliflower. You have your sulfur-based vegetables, things like onions and cabbages and radishes, and then the healthy fats, which I think is the one that needs to be really utilized more, because I think people… Going back to the 1960s from what the sugar industry did, people have become afraid of fat, but the thing is that if you want to burn fat in your body, you need to eat fats. But you have to understand there’s fats that heal and there’s fats that kill, so I’m talking about things like avocados, raw nuts and seeds, raw nut butters, healthy oils, not the inflammatory Omega 6 oils but the anti-inflammatory Omega 3 oils—green juices and green smoothies and soups and wild-caught Omega 3 fish. Things like that are really at the core or 80% of the alkaline diet. 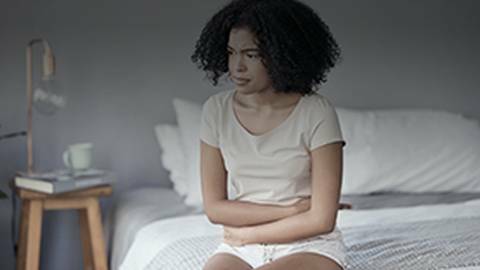 In getting to your point about how the GI tract can impact the body, when you talk about leaky gut, when you talk about some of the symptoms that occur, I mean, there are things that are far-flung, like skin rashes, migraines, fatigue, diarrhea, depression even, so it does have an impact throughout the body. Absolutely. The gut is the gateway. It’s the gateway to the rest of the body. That’s why I say it really is the underlying cause of all dis-ease, which is lack of balance and harmony in the body, and as dis-ease builds and builds, it becomes disease. Because what happens is these toxins get into the blood from the gut, and as I mentioned before, your blood has to regulate that pH at 7.4, so what it does is it starts to dump these toxins into the tissues, and that’s what I call the acid catchers or the acid magnets of the body. And what happens is, once they are in the tissues, they land in the weakest part of the body, the weakest tissues, so that’s why someone can have it in the liver, someone can get it in the brain, so it follows the path of the least resistance. But if the body doesn’t change its course, if you don’t change your lifestyle, if you don’t stop polluting the body, it builds and builds and builds, and eventually, there’s what I call 5 stages of acidosis. So something that starts as simple as energy loss can progress to food sensitivity, then to ulceration, and then eventually chronic degenerative diseases, things like heart disease, cancer, and even Alzheimer’s, which is now the third leading cause of death, which parallels inflammation of the brain. Sure. I mean, you have to look at the inflammatory fast, which I think is one of the most significant attributes to the inflammatory cycle in the body, so I’m talking about the Omega 6 fatty acids. You have to remember that inflammation in the short run is healthy. It actually helps your body heal. But it’s this chronic inflammation that’s really killing people. So, when I say Omega 6 fats, I’m talking about soy, corn, soybean oil, corn oil, margarine, hydrogenated vegetables fats, fats that get oxidized, so even things like cooking with olive oil. So these oils in their raw form, like flax oil or olive oil, are healthy, but once they get oxidized, they become inflammatory to the body, and that’s why it’s really important that people know what their Omega 3, Omega 6 ratio is. It’s literally one of the most important numbers or ratios in the body, and not enough people are checking that number out. And what’s crazy is that that number should be 1:1. All right? Omega 3 is anti-inflammatory, Omega 6 is proinflammatory, but the average American had 20 times of these proinflammatory fats, and the problem is that it’s the significant cause of heart disease. We’re understanding now that cholesterol is really not the issue. It’s more of the inflammation coming from these Omega 6 fats. And the brain is 60% fat. So, if you have more of these Omega 6 fats, they are literally taking your brain out, and that’s why we’re seeing so many cases of dementia and ADD and Parkinson’s and all these other brain disorders coming into being now. It’s because of all the inflammatory fats in the body. We just did a program yesterday on Primary Care Today on ReachMD, and we talked about Alzheimer’s and other forms of dementia, and obviously there’s a long way to go in treatments for that. So let’s just say you had someone who was at risk, family history of dementia, trying to do whatever they can to help. What kind of diet would be a diet that theoretically at least would give your best chance to fight against this? Yeah, I think what you want to do is, number one, you want to make the thing last. This has to be sustainable. So it’s not about being perfect. It’s not about 100%. It’s not about deprivation. It’s about moderation. So my approach is what I call the 80/20 approach to diet, which is 80% of these foods need to be more alkaline-forming, no more than 20% acid-forming. So like I mentioned before, dark green leafy vegetables; people just don’t get enough of these healthy vegetables. Chlorophyl—when you look at the molecular shape of chlorophyl—it’s the same molecular shape as your red blood cells except for 1 thing, the center molecule, which chlorophyl is magnesium and with your blood it’s iron. So, if you want to build healthier blood, which is really the transit system of the body, you need to get more of those dark green leafy vegetables in. And again, Americans aren’t doing enough of it. But going back to what I said about the healthy fats and minerals, those are really the 3 core things that we focus on with our clients. And once you start to increase those and start to add those, over time the good will outweigh the bad. But again, the worst food of all is sugar. Sugar is the most acidic food that you can put into your body. It’s inflammatory and it’s in almost every food that people eat, so I think it’s really just recognizing where these hidden sugars are coming from, because it’s not the stuff that you see on the restaurant table and the sugar packets. It’s the hidden stuff. It’s the carbs and the pasta, the salad dressings, the vinegars, things like that. So I think it’s really making people more conscious of where are these things hiding out in their foods so they know what to look for. Exactly. And for most people the ratio is swaps, but what we also do is we give people better options. So, if someone is doing like a wheat-based pasta—which is, by the way, one of the most significant causes of leaky gut because gluten, what it does is it triggers those gaps in the gut to open up causing these craters which allows these toxins to get into the body, so it’s really about what is a better choice. So, instead of having a pasta, maybe one night you swap it out for a zucchini noodle, which we call a zoodle. But I think it’s really about giving them tastier options in terms of the sauces, because if you put a really healthy, tasty sauce together and then put that on a zucchini noodle, I mean, it tastes amazing. And I’m Italian, so you’re looking at a guy who grew up on pasta his whole life. So I think it’s about giving them healthy swaps but things that taste good so that they’re not going to derail further down the line. You’re listening to Primary Care Today on ReachMD. I’m your host, Dr. Brian McDonough. My guest is Dr. Daryl Gioffre. He’s a nutritionist, he’s author of the book Get Off Your Acid, and he also talks about different types of foods you can eat. Also, in that book you have 7 Steps in 7 Days to Lose Weight, Fight Inflammation and Claim Your Health and Energy. Talking about energy, diet clearly has an impact on people’s energy. We hear people talk about it all the time. But maybe from your perspective, what is the impact of a poor diet and feeling fatigued? So the best thing about it is that this comes down to healthy choices, and the quality of the choices that you make every time you put that fork in your mouth is absolutely going to have an impact on your energy levels. So, if you’re listening to this and you find that your energy levels are down in the basement, it’s just because of the choices that you’re making, so you’ve got to step up, you’ve got to raise those standards, make some different choices, and when you start adding these better foods into your life, I promise you you’re going to see those energy levels start to shift. One final question—and I always ask this because I know I ask a lot of questions—but is there something you wanted to bring up that I did not bring up that you think is important as we head to the end of the show? Wow, that’s a phenomenal question. I wasn’t expecting that. Yeah, I absolutely do, in fact. We’ve been talking about food all the time on this call, and also, we talk about that in most of my practice but there’s 1 thing that we need to discuss which we’re not talking about enough, and that’s stress. All right? If I’m going to tell you there’s 1 thing that makes all these other things basically become punitive, it’s stress. Stress outweighs anything you can eat or drink a million times to 1 in terms of the inflammation and the acid it creates in your body. But it’s not about decreasing stress in your life. I mean, yes, you want to do that if you can, but sometimes we just can’t avoid that, so being healthy is about how you adapt to the stress in your life, and in those 7 steps in my book to Get Off Your Acid, that’s what it’s all about. It’s easy steps that you can implement in your day so that at the end of the day, your body is in a much more healthy, energetic state, so that no matter what that stress is you’re dealing with, you have that energy, that health to deal with it. And what happens is the stress doesn’t get you, and that’s what really being healthy is all about. Well, I want to thank you, Dr. Daryl Gioffre, for joining us on Primary Care Today on ReachMD. I really appreciate your explanation of leaky gut, but more importantly, different dietary choices we can make, and I think the take-home message I got from this for our audience is that it isn’t all or nothing. You just do the best you can and you keep working at it, and that’s probably your best chance for success. You got it. Thank you so much, Dr. McDonough. I appreciate you having me on. Thanks for joining us. And if you want to hear this program again, you can download the podcast, you can hear it again and again, and I want to thank you. And until next time, take care. If the gut is the gateway to the rest of the body, how does what we eat affect our health? Are our diets helping or hurting us? To examine the link between your gut and your overall health, Dr. Brian McDonough is joined by nutritionist Dr. Daryl Gioffre, who suggests that an unhealthy gut could very well be the root cause of significant health issues.